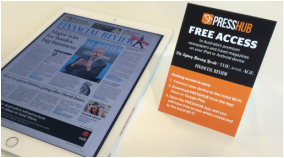 Give your guests a premium service with access to Australia's leading newspapers with PRESSHUB and make every guest a premium guest. PRESSHUB provides a digital replica of Australia's leading newspapers on PC and mobile devices. ​PRESSHUB's digital replicas recreate the classic newspaper format including all articles and sections as they were printed. The latest editions are delivered direct to PRESSHUB and are available by 6am on the issue date. PRESSHUB enables hotels to deliver their guest a premium service that is easy to use and cost effective. PRESSHUB is ideal for hotels that don't have access to Sydney or Melbourne's major metropolitan printed newspapers, and for hotels wanting to improve guest services with a digital news option. Your hotel guests can gain easy access to PRESSHUB at presshub.com.au or by downloading the PRESSHUB iPad or Android app to their iPad or Android device. 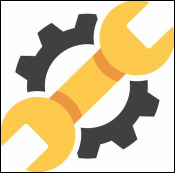 Your guests will have complementary unrestricted access to Australia’s leading newspapers and travel sites when connected to the hotels Wi-Fi . There is no login, no password or personal information required. Tent-card instructions that can be placed in guest rooms or at the check-in desk. Add inkl to PRESSHUB to access international news including the Financial Times, The Economist, The Guardian, The Washington Post, The New Zealand Herald and a whole lot more.